Oh hey there, guess who's officially full term over here?! 37 weeks!! I really can't believe that I could basically have a baby at any time at this point. Like, I was talking to my Uber driver over the weekend (after I missed my stop and had to backtrack haha - pregnancy brain!) and he was talking about how his daughter was born two weeks early, and I was like OMG THAT COULD BE NEXT WEEK. Freakyyyyy. It's still a little hard for me to picture that the thing moving around in my stomach is going to be a real baby in my arms! I'm very glad to be almost done with this whole pregnancy thing, not just because my body is currently falling apart (writing this with two ice packs strapped to my hands!) but also because this whole "pregnancy uniform" thing is starting to get a little boring! 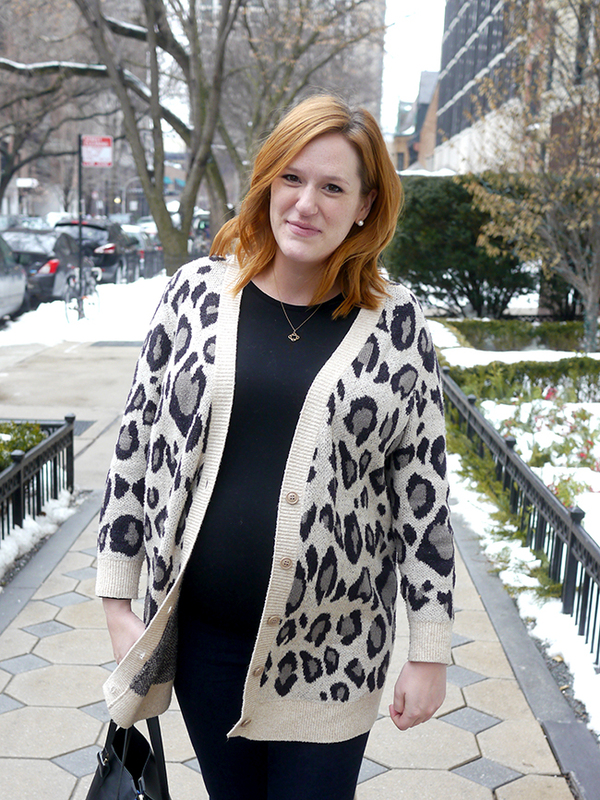 Are you tired of seeing a rotation of cardigans over my maternity clothes? Yep, me too! But, this is real life, it's what I'm really wearing, so it's what I'm sharing. I'm really glad I ended up picking up this leopard cardigan last month though, because it is so fun to wear and helps me not just wear the same three sweaters over and over. This thing is so soft and freaking adorable. I've been wearing it mainly over all black, but I think the colors will actually transition really well into spring - I have a lavender blouse in my closet that looks so pretty with it. The only thing is it's actually from a plus size brand! I got the smallest size which is a little oversized but definitely works, but if you're smaller than me you'll have to keep searching for the perfect leopard sweater. I realized something I haven't shared on here is the winter coat I've been wearing every day! 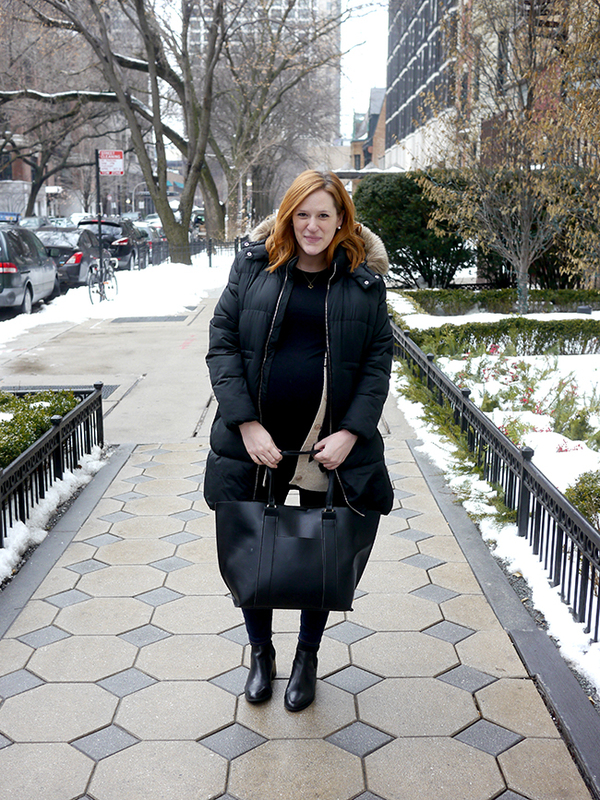 I didn't really think about until it started getting cold was that I would actually need a maternity winter coat. I think I figured that my regular coat could get me through, but nope, that thing stopped zipping up in December. I wanted to find something warm (#polarvortex) but inexpensive since I would likely only ever wear it for a couple of months. 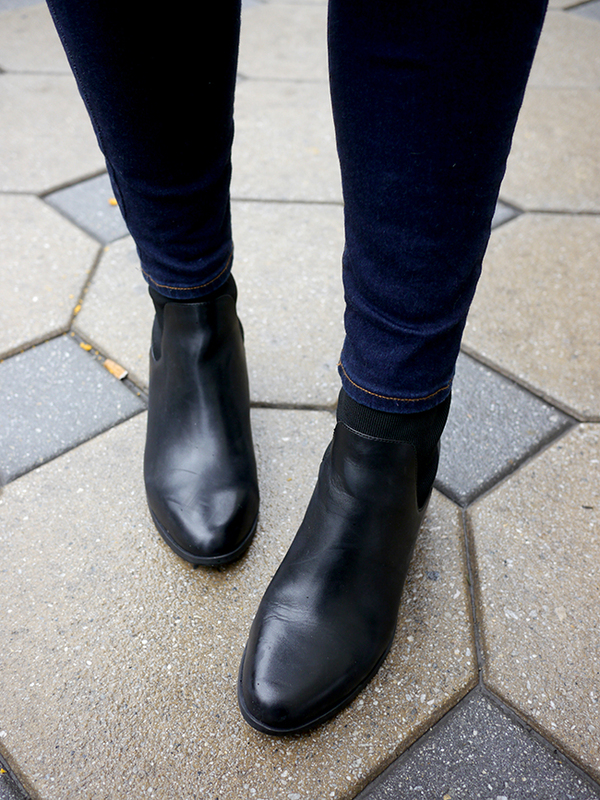 This one from Old Navy definitely did the trick! Definitely buy your regular Old Navy size (I'm wearing a large) because it runs really big - I tried the next size up and there was enough space for quadruplets in there ;) It's lined in fleece so it's definitely warm. I wish the sleeves were an inch or so longer, but I'm pretty sure I snagged this on sale for about $40 so it was something I was willing to live with.